We have an some exciting opportunities available at Fencebuild. See below for more details. If you are interested in working for an industry leading, and rapidly expanding company, please email karen.reed@fencebuild.net.au and send your resume along with a cover letter telling us why you would be the ideal candidate for the role. NOTE: an application without your resume will not be considered. Please do not reapply if you have already submitted an application. We have an exciting opportunity available for a fencing labourer to join our Crestmead team. Fencebuild is a family owned business undertaking an exciting new growth strategy. Our company is one of Australia's largest installer of fencing, privacy screens and balustrade products. We have a team of 17, and offer a secure and defined career path for hard working and motivated people. We invest heavily in training and support, and reward high performance with competitive wages and incentives. Reporting to the Site Manager, this position will involve being part of a team that produces various projects across the industrial, commercial and residential spectrum in an efficient and accurate manner within a workshop manufacturing environment. More importantly, we are seeking a person with a fantastic attitude who wants to grow professionally in a company that values hard work and rewards results. You will help retain a loyal customer base by consistently delivering outstanding quality work installed to Fencebuild's high standard within specified lead times. 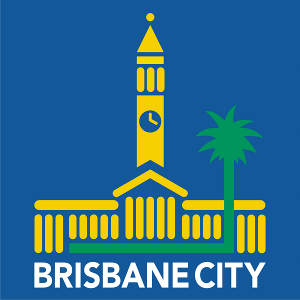 The role is based on various job sites in and around the greater Brisbane area with hours of work being from 6.30am to 3.30pm, Monday to Friday. You must be flexible to work overtime if required. This is a casual position with the view of offering permanent employment to the right applicant, after successfully completing a six month trial. Perform a variety of repetitive process demanding the ability to continuous lift objects from ground to above head height. Read, understand, and follow job order specifications, engineering drawings, and/or work orders. Operate small hand tools related to the jobs needs. An attractive wage commensurate with your qualifications and experience will apply, and will be negotiated with the successful applicant. In return, we offer a clean and safe working environment, coupled with long term opportunities to grow and develop your skills within the company. Contact Us to submit your resume.